2016 Mercedes-Benz A45 AMG – Every Mercedes-Benz fan dreams of owning an AMG Mercedes-Benz model and there is a reason for it – when you see a Mercedes with an AMG badge (AMG is the in-house tuning company that works only on Mercedes-Benz vehicles, they take new car and tune it), you immediately know that this is not a regular Mercedes, instead it is a special, tuned model, perfected by AMG. 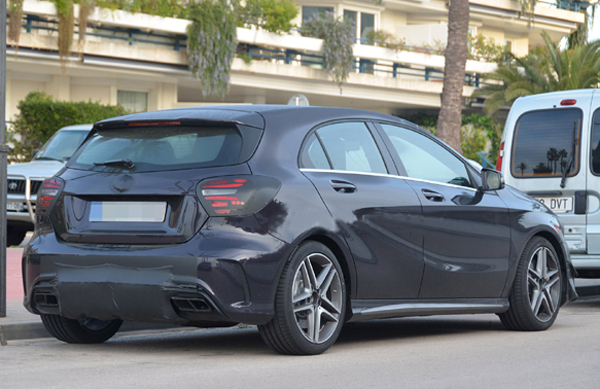 Lately, there were a lot of talks about the new 2016 Mercedes-Benz A45 AMG. 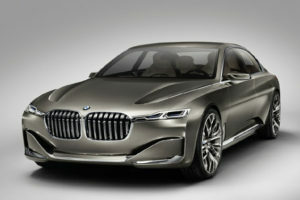 The official images show that this new model is just an upgrade of the current model and not a completely new car. 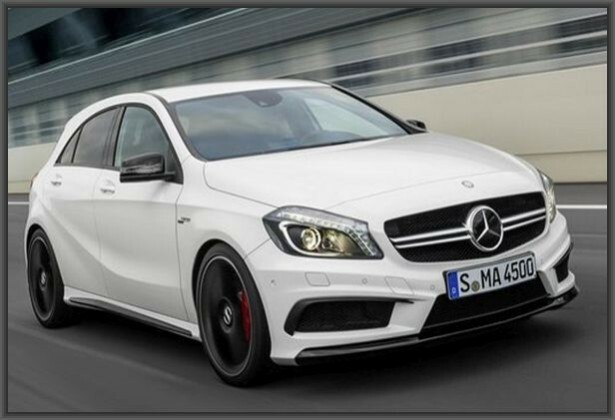 The 2016 Mercedes-Benz A45 AMG is a very good looking car, even as a standard model, but it looks even better with slight changes made by AMG. The tuning company always adds small details to the exterior, because they want to preserve the original look of the car, but still they want to make their cars stand out from the crowd and stand out from all other Mercedes-Benz cars. 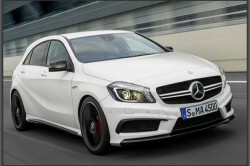 With the 2016 Mercedes-Benz A45 AMG they wanted to create a unique looking car, with accentuated sporty and aggressive nature and they have been able to do it so far. 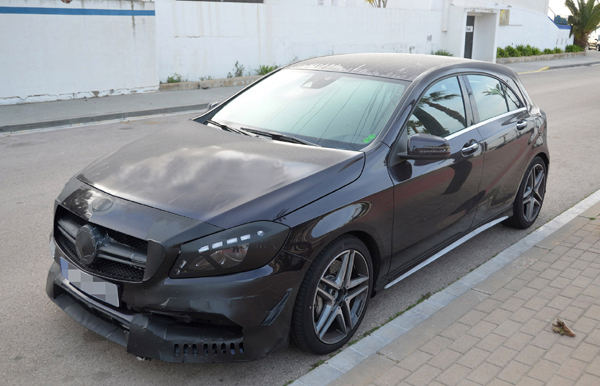 When you take a good look at the 2016 Mercedes-Benz A45 AMG you see AMG branding everywhere, but there are more important changes than just branding – AMG changed the exhaust system, added their own and unique body kit, light alloy wheels and on the front they have used their AMG radiator grille. 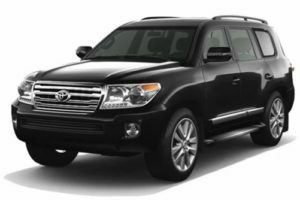 The “twin blade” radiator grille is sort of a trademark of the tuning company. 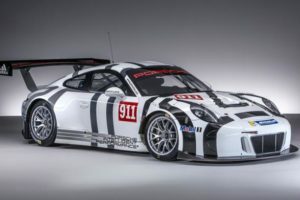 There are some small details that are hard to notice but make the car look even better – for example, some parts of the front fender are painted in matte titanium color. On the inside, the 2016 Mercedes-Benz A45 AMG is a mix of sport and luxury and it looks stunning! The car has new, sport seats in man made leather along with topstitching in contrasting red color. 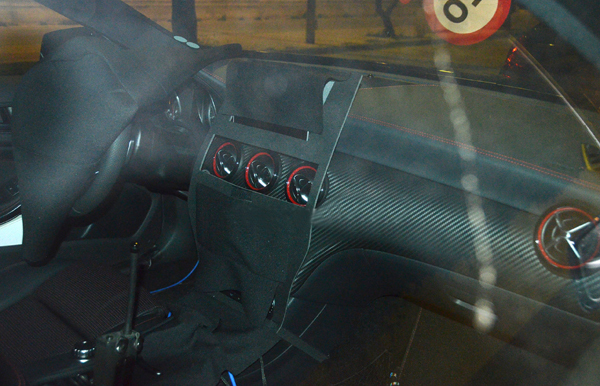 Furthermore, the whole cabin is in black and red combination – from the seats to the air vents. AMG has fitted new and improved steering wheel with shift paddles. Throughout the car, they have used AMG branding, so you can practically never forget what car you’re driving. The 2016 Mercedes-Benz A45 AMG engine was handcrafted in AMG (they even say “One man – one engine” because on one engine works only one employee). 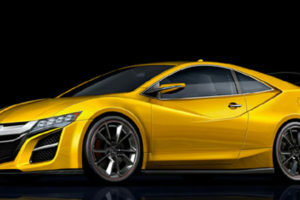 This car is offered with very powerful 2.0l turbocharged engine that produces around 360 horsepower. 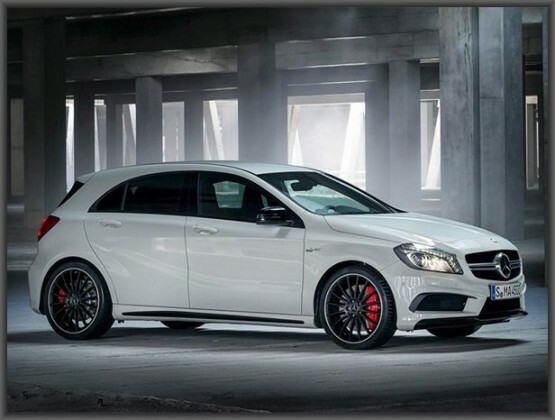 Thanks to this powerful engine, the 2016 Mercedes-Benz A45 AMG is able to go from 0-60mph in just 4.6 seconds! The car is shipped with automatic transmission, but there are shift paddles on the steering wheel when the driver wants to shift gears manually. 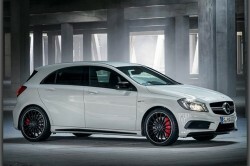 Price of the 2016 Mercedes-Benz A45 AMG is really high – it starts around $43,000. 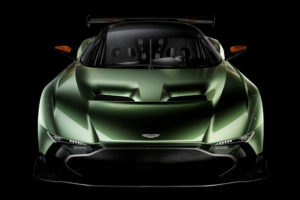 The car is already on sale through official dealerships.